The Road Haulage (Northern England) (UK) Analysis provides a detailed overview of the UK Road Haulage (Northern England) (UK) market and delivers a comprehensive individual analysis on the top 780 companies, including SUTTONS TRANSPORT GROUP LTD, ARAMEX (UK) LTD and A.V.DAWSON LTD. This report covers activities such as logistics, warehousing, transport, distribution, freight and includes a wealth of information on the financial trends over the past four years. Using The exclusive methodology, a quick glance of this Road Haulage (Northern England) (UK) report will tell you that 67 companies have a declining Plimsoll financial rating, while 26 have shown good sales growth. Each of the largest 780 companies is meticulously scrutinised in an individual assessment and analysed using the most up-to-date and current financial data. 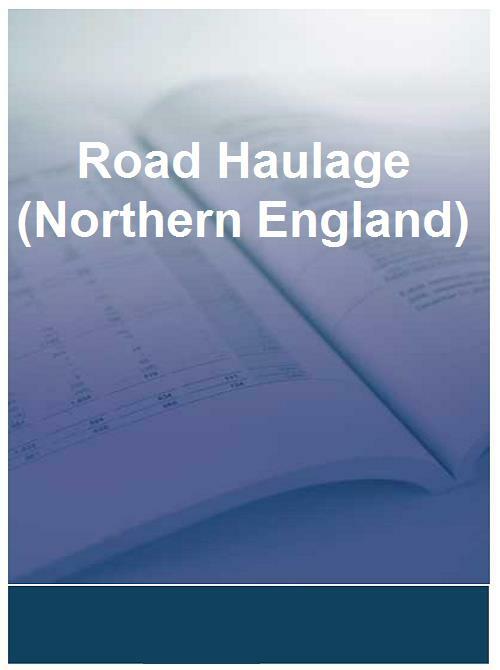 Subsequently, you will receive a thorough 100-page market analysis highlighting the latest changes in the Road Haulage (Northern England) (UK) market.